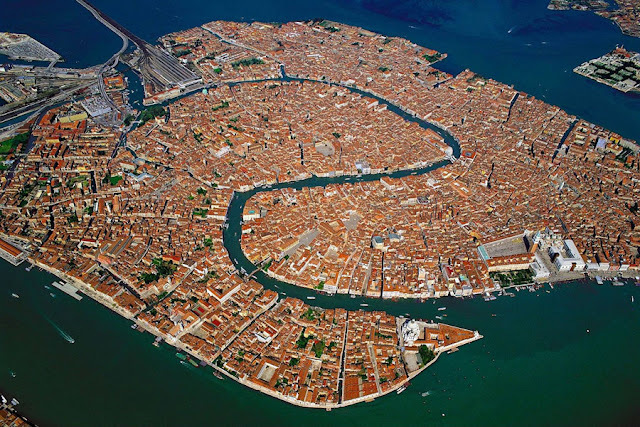 I just love Italy... And Venice, in particular. It oozes romance: meandering canals, dead end streets (perfect for canoodling), fantastic cicchettis (the delicious little bites from which I'm totally comfortable constituting full meals), amazing art (Murano's world famous glass), and last (but certainly not least) the Guggenheim. 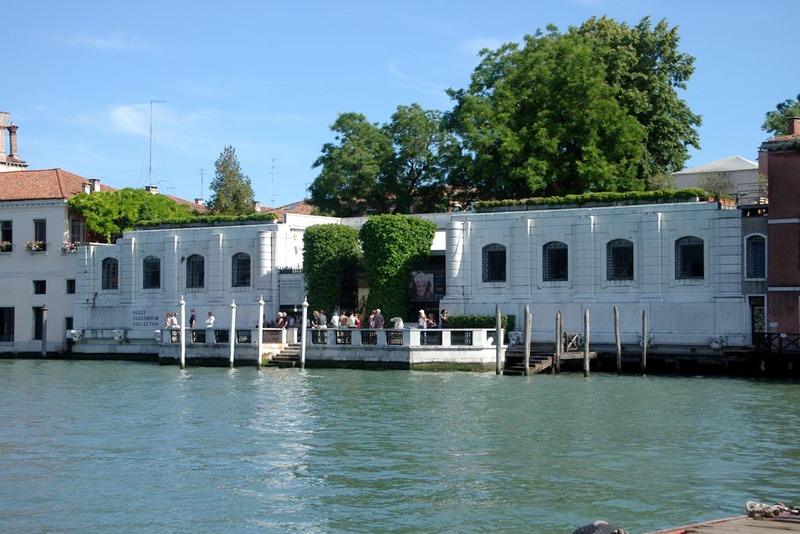 The Guggenheim is accessed from the canal, and it sets the mood right from the start. 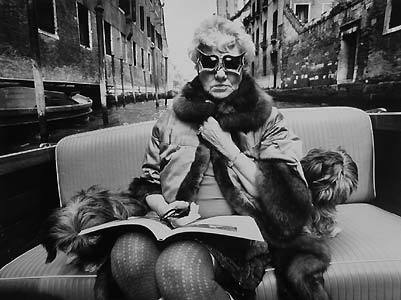 Peggy Guggenheim, a woman who could truly be described as a broad... A broad with fantastic taste. 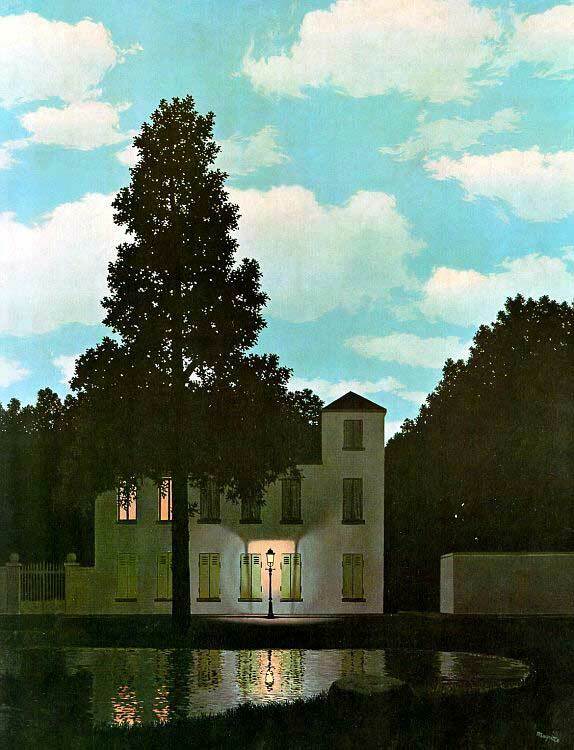 My personal favorite piece in the museum, Renee Magritte's "Empire of Light." 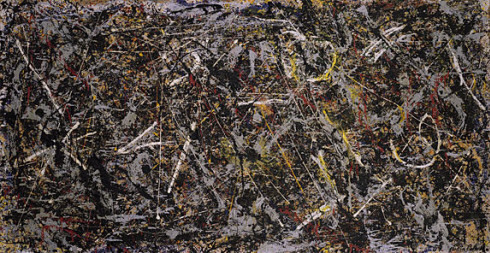 Viewing Jackson Pollock's "Alchemy" in person is a surreal experience. The textures and colors are inspiring and overwhelming at the same time. Even if you could see Venice from the air, you still wouldn't know where the road you're traversing ends up... and that's just fine by me. 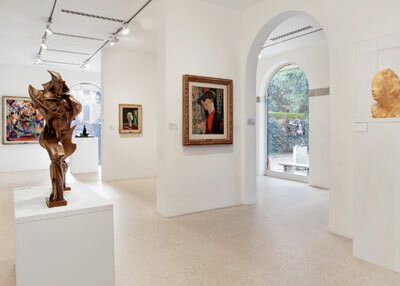 Italy's art, architecture, and shopping all inspire beautiful interiors. Wandering the workshops and stores, you can't help but wish you could afford to ship it all home. 3. 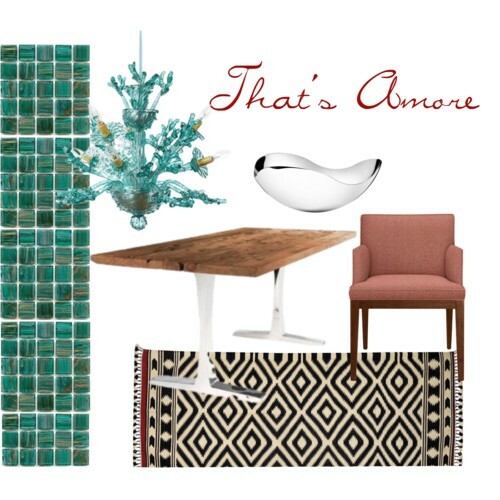 Use colors that inspire you: above I've picked up the blue from the canals and paired it with a muted red, which I love as a neutral.